Coil inductance are elements in the marking which parameters are not usually specified. Moreover, it often coils wound independently. In both cases, to determine the inductance of the coil is possible only by means of its measurement. It can be carried out by various methods, involving the use of a variety of complexity of the equipment. Some of these methods are laborious and require calculations. But active LC meters free from these shortcomings allow you to measure inductance , quickly and without additional calculations. Get an LC meter. In most cases, they are similar to conventional multimeters. 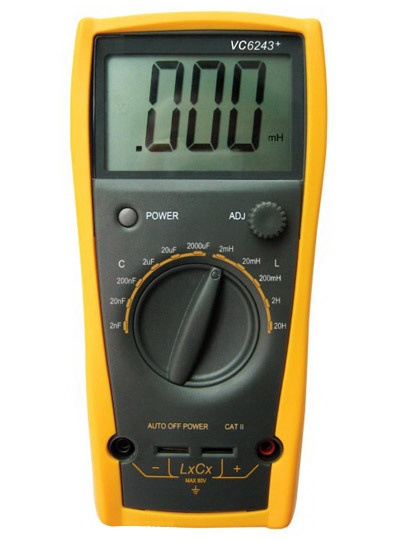 There are also multimeters with a function for measuring inductance - such a device you will also work. Any of these devices can be purchased in specialized shops selling electronic components. Power off the fee, which is a coil. If necessary, discharge the capacitors on the Board. 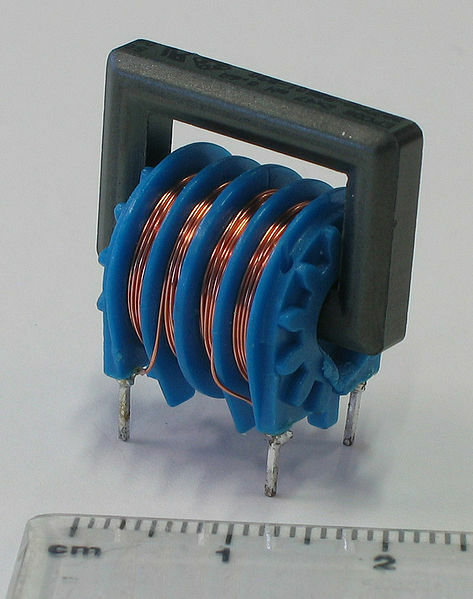 Wipaire coil, the inductance of which you want to measure from the circuit Board (if this is not done, the measurement will be made visible error), and then connect to the input sockets of the device (to which it is specified in his instructions). Switch off the device at the exact limit, usually designated as "2 mH". If the inductance of the coil is less than two, MH, it will be defined and shown on the display, after which the measurement can be considered complete. If it is greater than this value, the meter will show overload - in the senior category will appear one and in the other spaces. If the meter showed overload, switch off the device at the next, coarser limit - "20 mH. Note that the decimal point on the display shifted to change the scale. If the measurement this time is not successful, continue to shift the limits towards more rough as long as the overload disappears. Then read the result. Looking then to the switch, you will know in what units the result is expressed in Henry's or the MH. Disconnect the coil from the input jacks of the device, and then solder back to Board. If the instrument shows zero even at the exact limit, the coil either has a very small inductance, or contains the short-circuited coils. If even at the coarsest limit is indicated overload, the coil is either broken or has too much inductance, the measurement of which the device is not designed. Never connect the LC-meter to the circuit, under voltage. Some LC-meters have a special knob to adjust. Check the instructions for the instrument, how to use it. Without adjusting the readings will be inaccurate. Coil inductance is a rolled into a spiral conductor, storing magnetic energy in a magnetic field. Without this element it is impossible to build neither a radio transmitter nor a radio receiver, for use of the device wired connection. And TV, to which many of us are so accustomed to, without coil inductance unthinkable. The basis of the coil inductance is a conductor. Around the conductor passing through it a current the magnetic field is always present. The strength of this field depends on the strength of current in the conductor. 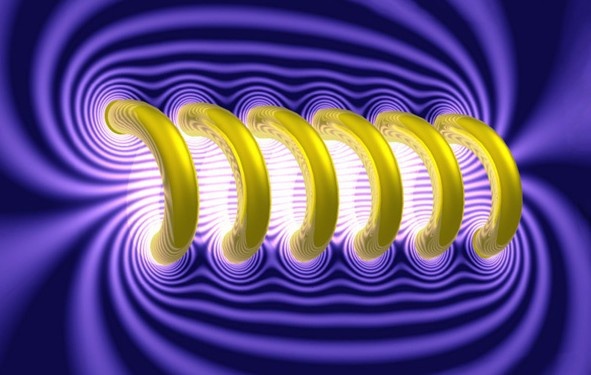 Another way to strengthen the magnetic field to collapse the conductor into a spiral. This is nothing more than a coil of inductance. 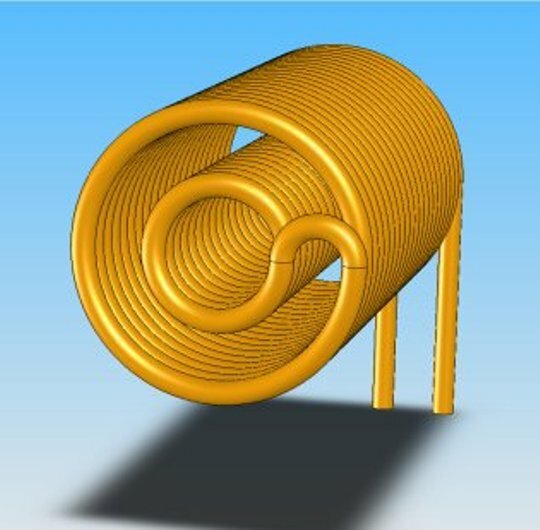 The smaller the coil diameter, the more turns the stronger the magnetic field generated by the coil. Hams usually wound these coils on their own. Inductance is the ability of the coil to create a magnetic field. Inductance is measured in Henry (H). Coil inductance is not produced in the form of standard parts with standard specifications, as calculated and manufactured for each specific device separately. Therefore, in the manufacture of coil you will need to first consider the characteristics of input and output signals of your radio. For VHF and short-wave oscillatory circuits are made coils with few turns of thick wire. Some of these coils don't have a frame. For transmission and reception of radio signals at medium and long wavelengths are used multiturn coil (single-layer and multi-layer). To make the frame for these coils you will need paper or plastic. The number of turns of the coil when you configure the radios and other equipment will have to pick up experimentally, changing the inductance of the coil. You can do it otmuchivaniem and Domitiana of turns of the coil, but this method is not quite useful in practice. This files most often placed inside the coil pull out a core of special magnetic material. This can be alsever (an alloy of aluminum, iron and silicon). 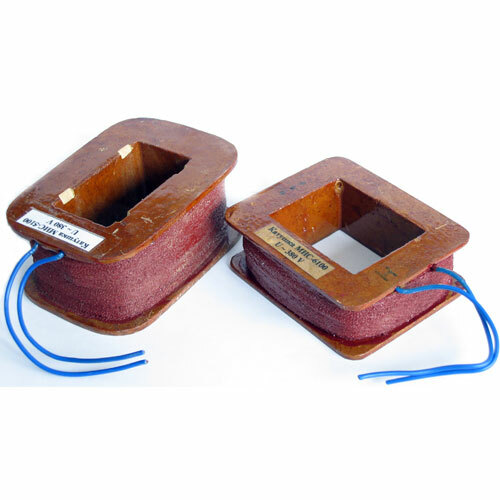 Magnetic cores concentrate the magnetic field of the coil, thus increase its inductance. With this you can reduce the number of turns of the coil, which leads to the decrease of its sizes and dimensions disturbed. An inductor can store magnetic energy during the flow of electric current. Its main characteristic is its inductance, which is denoted by the letter L and is measured in Henry (H). The inductance of the coil depends on its characteristics. The inductance of the coil is proportional to the linear dimensions of the coil, magnetic permeability of the core and the square of the number of turns of winding. The inductance of a coilwound on a toroidal core is: L = ?0*?r*s*(N^2)/l. In this formula ?0 — magnetic constant, which is approximately equal to 1.26*(10^-6) Ng/m ?r — relative magnetic permeability of core material, which depends on the frequency), s is the cross — sectional area of the core, l is the length of the middle line of the core, N is the number of turns of the coil. Relative magnetic permeability and material, as well as the number of turns N are dimensionless quantities. Thus, the inductance of the coil is greater, the larger the area of its cross section. This condition increases the magnetic flux through the coil when the same current.The inductance of the coil inductance in µh can be calculated also by the formula: L = L0*(N^2)*D*(10^-3). Here N is the number of turns, D is the diameter of coil in inches. The coefficient of L0 depends on the ratio of the length of the coil to its diameter. For single-layer coil it is equal to: L0 = 1/(0,1*((l/D)+0,45)). To measure the inductance of the coil, use an ammeter, voltmeter and frequency counter (if not known, the frequency of the AC source, then take readings and calculate the inductance. In the case of the solenoid (coil whose length is much greater its diameter) to determine the inductance required to measure the length of the solenoid, the area of its cross section and number of turns of the conductor. Measurement of inductance by the method of voltmeter-ammeter. To find the inductance of a conductor by this method, use the AC source with a known frequency. If the frequency is not known, measure its customera joining it to the source. 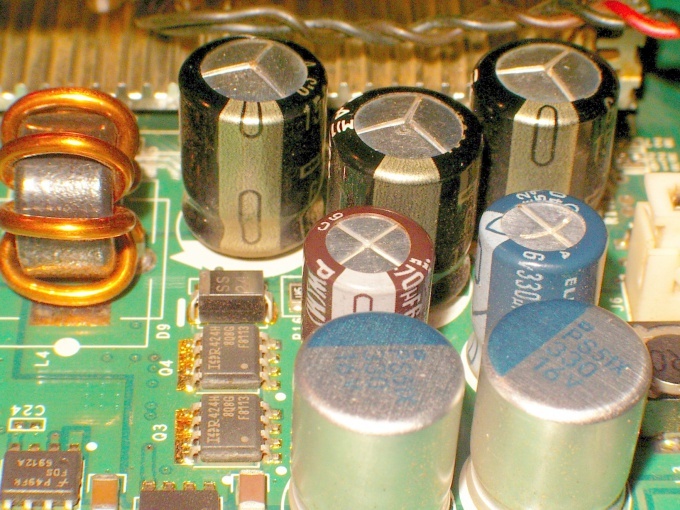 Connect to the power supply coil, the inductance of which is measured. Then in series turn on the ammeter, and to the ends of the coil in parallel is a voltmeter. Passing the current through the coil, clear the readings. Accordingly, the current in amperes and voltage in volts. According to this data, calculate the value of inductance of the coil. For this value of the voltage divide successively by 2, the number 3.14, the values of current frequency and current. The result is the value of inductance for the coil in Henry (H). Important: the coil connect only to AC power source. The resistance of the conductor used in the coil should be negligible. 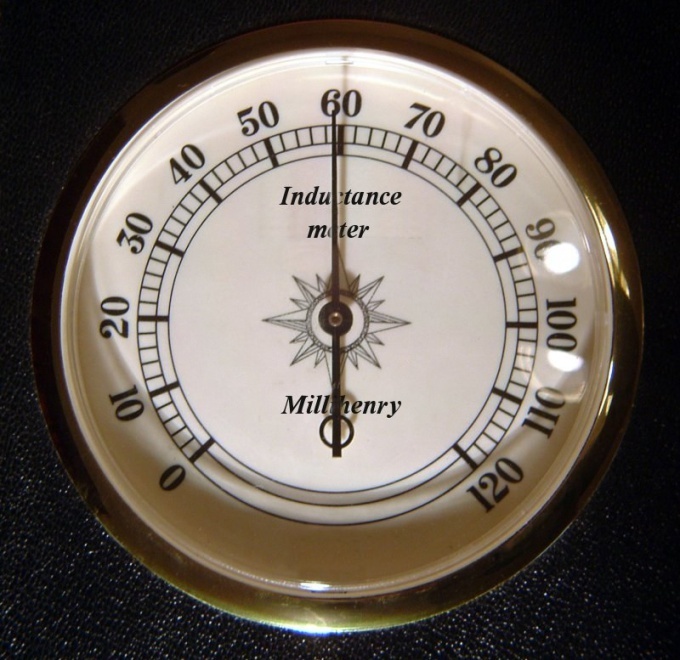 The measurement of the inductance of the solenoid. To measure inductance of the solenoid take a ruler or other instrument for determining lengths and distances, and determine the length and diameter of solenoid in meters. Then count the number of its coils. Then find the inductance of the solenoid. To do this, take the number of turns in the second degree, the result and multiply by 3.14, the diameter of the second degree, and divide the result by 4. The number you divide by the length of the solenoid and multiply by 0,0000012566 (1,2566*10-6). This will be the value of the inductance of the solenoid. If possible, to determine the inductance of this conductor use a special device. It is based on scheme, called bridge AC. An electric current flowing through a conductor creates magnetic field around it. The coefficient of proportionality between the current in the circuit and the magnetic flux created by this current is called the inductance of the coil. Based on the definition of inductance, it is easy to guess about the calculation of this value. The simplest formula to calculate the inductance of the solenoid is: L=f/I where L is inductance, f is the magnetic flux embracing the coil of the magnetic field, I is the current in the coil. This formula is defining the unit of inductance: 1 Weber / 1 Ampere = 1 Henry or, for short, 1 WB, 1 And = 1 GN. Example 1. Through the coil flows a current of 2 A, formed around it a magnetic field, the magnetic flux which is 0,012 WB. Determine the inductance of this coil. Solution: L= 0,012 WB / 2 (A = 0,006 H = 6 mH. Inductance (L) depends on the size and shape of the coils, from the magnetic properties of the environment in which the current-carrying conductor. Accordingly, the inductance of a long coil (solenoid) can be determined according to the formula given in figure 1, where µ0 – magnetic constant, equal to 12.6*(10) in -7 degree GN/m; µ - relative magnetic permeability of the medium, which is a coil current (tabular value specified in physical books); N is the number of turns in the coil, lкат – coil length, S – area of one loop. Example 2. Find the inductance of the coil having the characteristics: the length is 0.02 m, the area round to 0.02 sq. m. number of turns = 200. Solution: If the environment in which the solenoid is not specified, the default is taken to air, the magnetic permeability of air is unity. Therefore, L = 12,6*(10) in -7 degree *1*(40000/0,02)*0,02=50,4*(10) in -3 degree H = 50,4 mH. Also calculate the magnetic induction of the solenoid is possible, based on the formula of magnetic field energy current (see figure 2). It can be seen that the induction can be calculated by knowing the energy of the field and the current in the coil is: L = 2W/(I) squared. Example 3. Coil in which is flowing a current of 1 A, creates a magnetic field around itself with the energy of 5 joules. Determine the inductance of a coil. Solution: L = 2* 5/1 = 10 GN. The inductance of the coil can be measured directly or indirectly. In the first case, you will need active or bridge device, and the second will have to use the generator, voltmeter and milliammeter, and then to carry out a series of calculations. To measure the inductance of the active device, connect the coil and then successively selecting the measurement range switch, select such of them to the result was approximately in the middle of the range. Read the result. If the meter has an analog scale, when reading the results, take into account the price of division, and the coefficient shown next to the corresponding switch position. On the bridge device after each selector turn the knob balancing of the bridge at any of the end positions, and then rotate it all the way in the opposite direction. Find a range in which the handle is possible to balance the bridge. Having achieved the disappearance of the sound in the speaker or headphones or decreasing readings dial indicator to zero, read the indications on the scale of the regulator (but not the gauge). In this case, as in the previous case, consider the division and the factor that should be multiplied by the range statement. To measure inductance indirectly assemble the measuring circuit. The AC voltmeter switched to the limit at which the upper boundary of the range corresponds to a voltage of several volts, connect the parallel output of the generator. There connect and a frequency counter. Also in parallel, they connect the series circuit consisting of the test inductors as well as milliamperemeter AC. Both devices should show the current, not the amplitude value measured value, and can be calculated for sinusoidal oscillations. The generator will enable the generation of the voltage sine wave. Ensure that the voltmeter showed about two volts. Increase the frequency until then, until the readings on the milliammeter begins to decrease. Make sure that they reduce to about half the original value. Select frequency limit corresponding to the measured frequency. Read the testimony of all three devices, and then disconnect the generator and disassemble the measuring circuit. Put readings in SI units. Divide the voltage across the current. Will the inductive reactance of the coil at the frequency at which the measurement was carried out. It will be expressed in ohms. Calculate the inductance according to the formula: L=X/(2πF), where L is the frequency, G (Henry), X is the inductive reactance in Ohms, F is frequency, Hz. If necessary, move the result of the calculation in derived units (e.g., MH, microgenre). Do not touch the elements of the measurement circuit when it is energized.